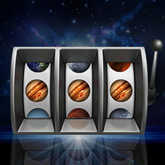 January 28 to February 3, 2013: Get lucky! Jumpin' Jupiter! There's a lot to smile about this coming week as lucky planet Jupiter turns direct and cosmic lovers Mars and Venus each make a move. See what's in store for you personally with a 30-Day Astrology Forecast, and here's the lowdown on the key cosmic events the week of January 28 to February 3, 2013. YAY, Jupiter is turning direct on Wednesday! Are you smiling yet? Well, what are you waiting for? Put on your happy face and celebrate this magnificent cosmic news! 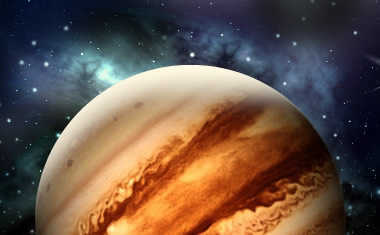 Like every planet, Jupiter has a cycle of being retrograde and direct. With Jupiter direct in clever Gemini, we'll all have an incredible edge from now until the end of June in regard to mind expansion. If you're in the communications or sales industry, expect a fantastic boost both in your earning potential and your ability to convey important ideas. Are you a writer? Well, you're in luck -- this placement of Jupiter will turn into quite the prolific one. Even if you're not, this placement of Jupiter will jump start your urge to learn and it'll be a great time to consider taking a class in a subject that's piqued your interest. Go for it! As usual, however, the universe is filled with complicated energy, and although this same day will open up the path for cosmic luck, at the same time there will be a strong factor of caution in the air. The Sun in Aquarius will square Saturn, and you might experience this as a restriction from an authority figure, such as your boss. Someone, somewhere, may challenge you as you attempt to shine your light out into the world. This person might even make it difficult for you to move forward in a personal endeavor. Recognize this temporary block as nothing more than a hurdle you need to overcome. You might need to take a couple steps back in order to ensure you're on the right track, but don't think of this as failure. In fact, this aspect will test your mettle. Plow through -- you know what you're made of! 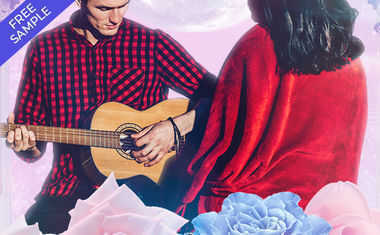 On Friday, cosmic lovers Venus and Mars will both change signs, and this will definitely change the game -- especially the game of love for the next few weeks! Mars will move into Pisces, a sensitive and ethereal sign, where it remains until March 12. During this time, your fighting spirit will go through an interesting transition. Some believe that Mars in Pisces is a wimpy sort of energy. Not so fast! Although it's true that when Mars, the planet of assertive action -- the warrior -- is in the tender, compassionate sign of Pisces, he's not exactly wielding swords, this doesn't turn him into a chicken. Instead, the Martian drive turns toward fighting to defend the underdog, the suffering or anyone who is a victim in some way. There will be a strong urge to save someone's soul now. This energy is fantastic for artsy types because you'll receive a boost of ambition to cultivate one of your imaginative pursuits. Mars in Pisces will also sensitize your libido. Forget one night stands with this energy -- now you want to lose yourself with a soul mate. Ahhh, this could be fun. Don't forget the ability you'll have now to manifest your dreams and fantasies. This applies in and out of the bedroom! Also on Friday, Venus, the planet of love, beauty and money, will move into new territory. Venus will enter Aquarius, where she'll remain until February 25. Are you single and looking for love? Well, this transit of Venus is famous for strengthening your ability to meet someone new on the Internet. You might join a dating site or find true love via Facebook. Whatever the case, because Aquarius rules technology, don't discount the potential for romance to blossom online. Aquarius is also the sign of friendship and groups. You and a friend might realize that your feelings for one another, although based on friendship, are now growing into a more intimate direction. Intimate might be the wrong word for Aquarius -- this sign is rather fond of detachment and personal freedom. Still, friends do become lovers under this energy. And then there's always the potential for friends with benefits. With Mars in Pisces, if that's been one of your personal fantasies, well, your dream may come true now. Venus in Aquarius also will help you make money through technological related pursuits. More on this next week (when Venus and Jupiter will be at a gorgeous angle), but you may want to begin cultivating this potential over the weekend. A group project or a friend might help you expand your wallet somehow. Expect to hang out more with pals, and be sure to network at parties or other events. Exciting, innovative and even ingenious people may cross your path now. If your social life has been in hibernation over the last few weeks, expect a change this weekend. Mingle!